Imposing and reassuring at the same time, it will give a warm style to the room, providing a sense of security. 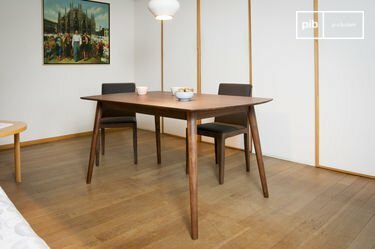 In raw wood or solid wood, it will have a very different look and will adapt to different situations. 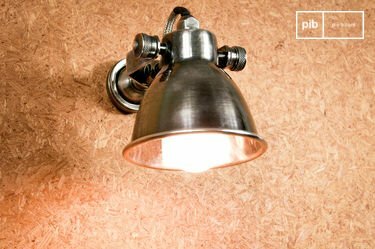 Opt for a varnished version for a Scandinavian interior, or a more textured wood if you are looking for authentic retro touches. 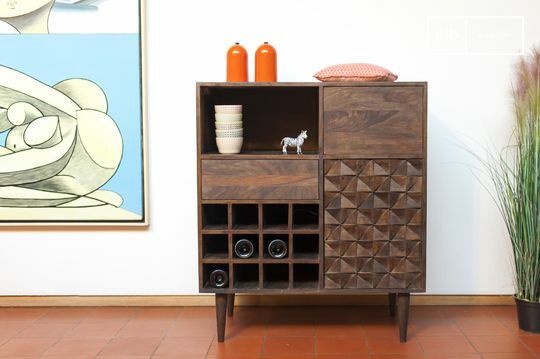 In addition to its graphic appearance, the solid wood chest of drawers will allow you to store all of your clothes thanks to its spacious drawers. Ideal for a comfortable modern armchair or a vintage one, the solid wood chest of drawers will quickly become your favourite piece of furniture! Installed near a window or as a wood console table, the solid wood chest of drawers is an indispensable piece of furniture in any room, together with a solid wood sideboard, whatever its style is. 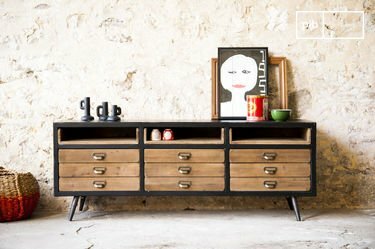 If you want an industrial decoration, the solid wood chest of drawers reinforced by metal frames will help you to create this. For a sleek, Nordic design, opt for painted versions with colours to bring warmth to your interior. 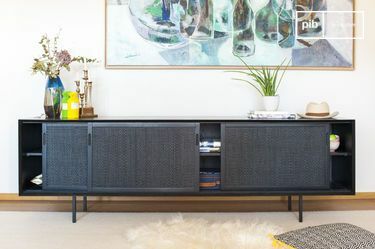 Combined with a vintage-style mirror or a vintage blackboard and a vintage scale, this piece of furniture will bring a retro or modern look to your home. If you are looking to recreate a 1950s ambience, Scandinavian sliding wardrobes or a low tv unit will be a successful addition with its period style. 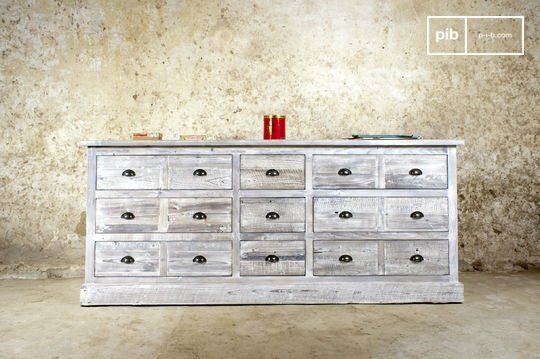 More rough and often patinated, the rustic dresser with a rustic table or a storage bench are an ideal choice for lovers of country houses and old decors. In addition to being an inimitable aesthetic element, the solid wood chest of drawers is a solid piece of furniture that will follow you all your life, even if you move property and change your decoration, making it a reliable purchase even in the long term. 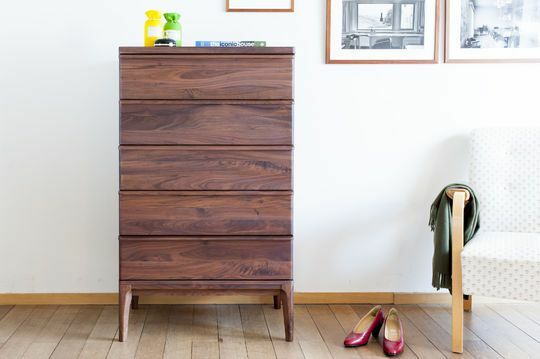 It requires little maintenance, but remember to treat your solid wood chest of drawers from time to time with oil. This enables it to keep its appearance for many years. Otherwise, the patina will reinforce its retro seal, keeping its appearance nice and original.